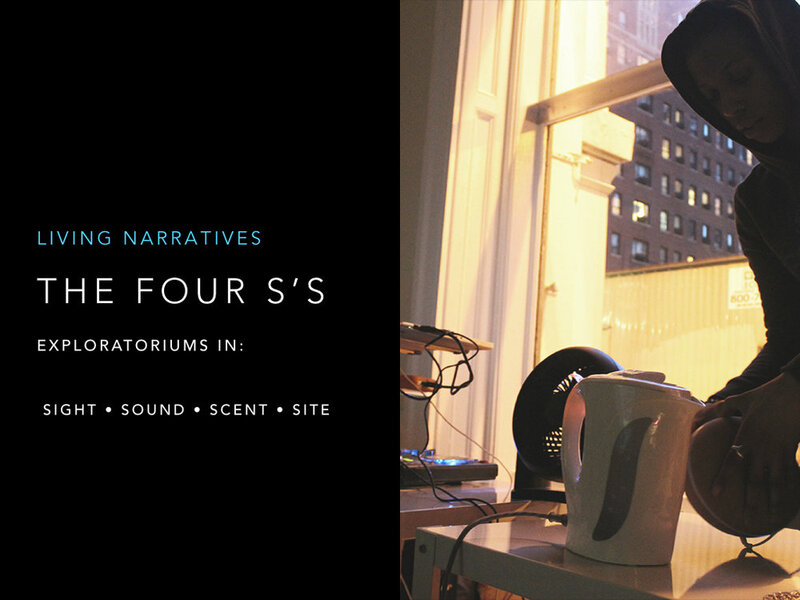 Living Narratives is a live performance installation that takes audiences on an immersive, multi-sensorial journey through the live-mixing of sound, visuals, and scent. SOUND: Created sound pieces and curated music for performances that would aid in setting the space, in an auditory sense. This was paired with vocal instruction to the audience. 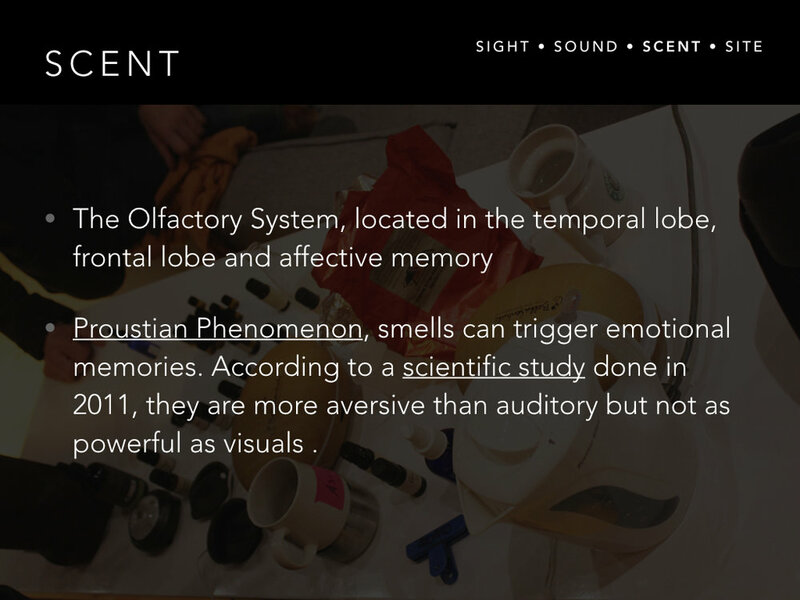 SCENT: The creation of a scent journal and sourcing essential oils, created the olfactory element of the installation. The scents were diffused manually and with diffusers/and or fans, for experimentation. I also experimented with humidifiers and coffee. In the end a layering technique was used to fill the space, and compliment the other S's. 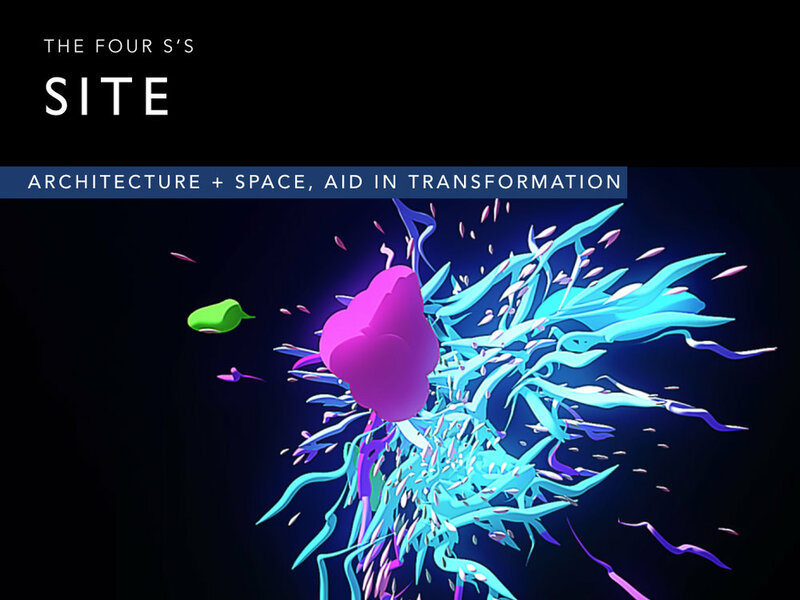 SITE: Performance installations were staged in non-traditional performance spaces (iTP, Riese Lounge & Global Center for Academic & Spiritual Life) in order to explore the ability to create relaxation in varying environments.